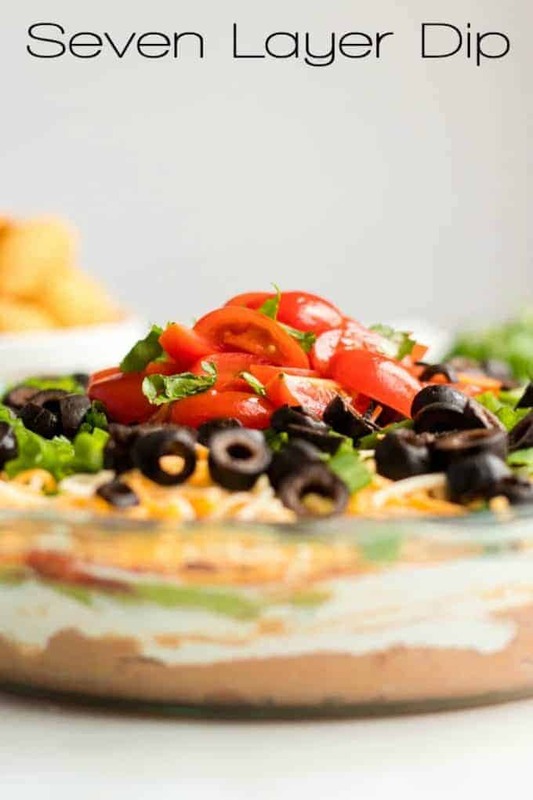 Our 7-layer Dip is the perfect appetizer for game day parties with friends! It is layered with beans, sour cream, guacamole, salsa, cheese, olives, and onions. This is THE ultimate party food appetizer! Easy appetizers are our jam! 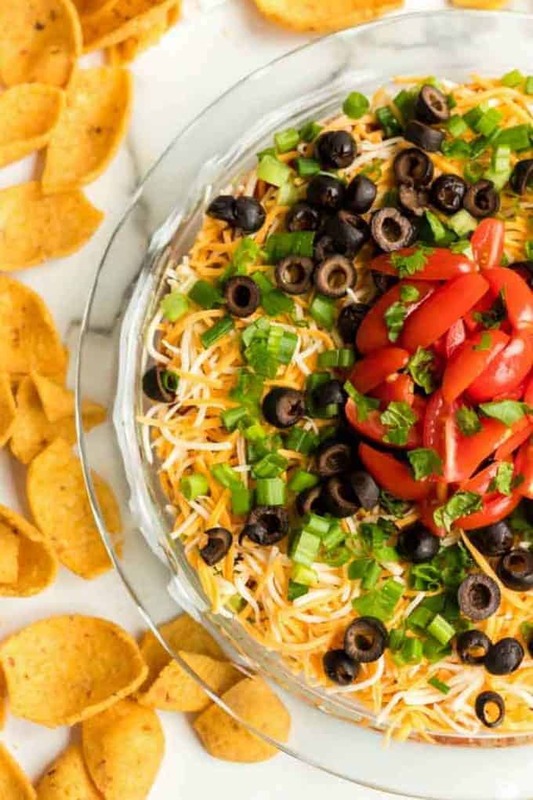 We adore this 7-layer taco dip and it goes perfectly with our Sheet Pan Nachos and our Beer Cheese Dip! A party is not a party without amazing appetizers. Right? 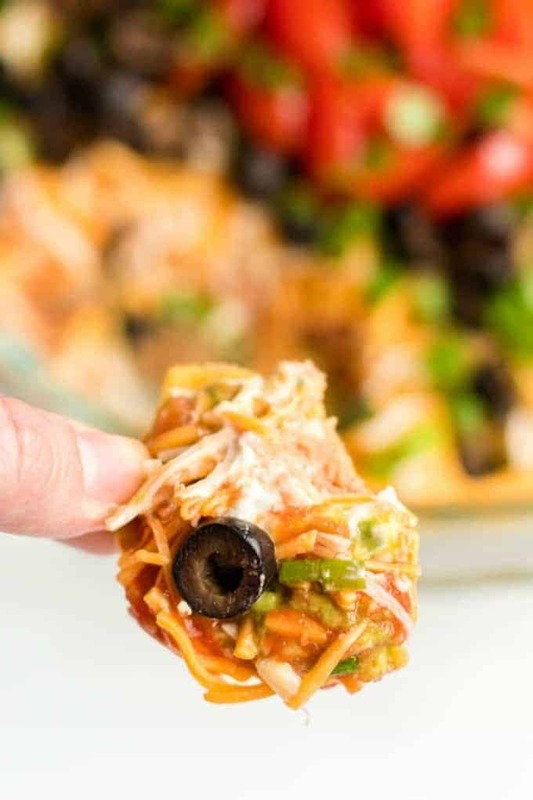 That is why we are always on the hunt for new easy apps to serve and this 7 layer dip is perfect for just about every party! Appetizers are always the best part of any meal and that holds true for parties as well. People love to stand around the kitchen and munch away on bite-sized delights and delicious dips. We love this 7 layer taco dip for so many reasons. 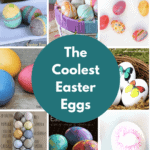 First, it is super easy to make. 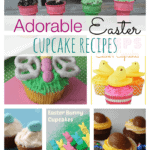 It is no bake, you just layer it, so it is just about foolproof! Second, it makes a great presentation. The layers look so pretty in a nice glass bowl. Finally, and most importantly, it is beyond delicious! Optional: add tomato and cilantro to the top for a fresh garnish. You really can’t go wrong with just about any dipping chip, but we like to serve our 7 layer dip with tortilla chips! Some other great options are Frito scoops, pretzels, Stacy Chips, crackers or cut up veggies! 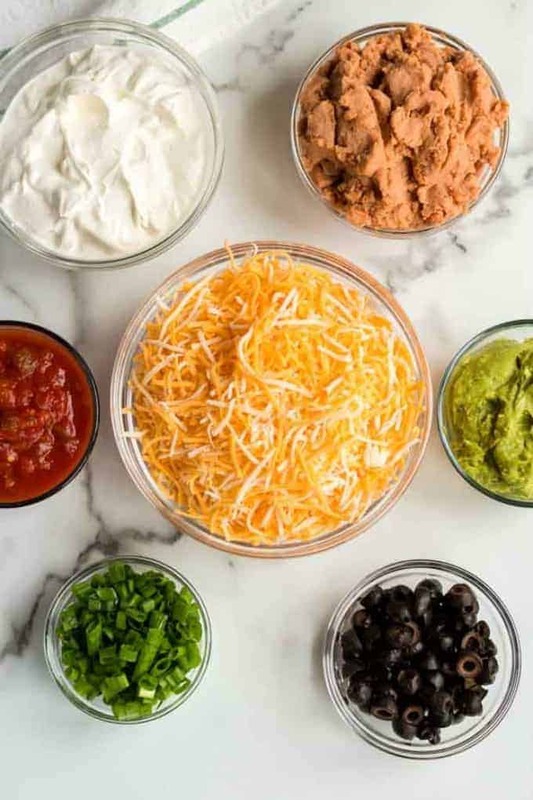 What type of dish do I use for 7 Layer Dip? The presentation is part of the fun with this dip. You want to show off all of the layers – it truly makes it an impressive looking appetizer. If you really want to get creative and cute – get mini mason jars and made individual 7 layer dips for your party guests! They will go crazy over the cuteness! 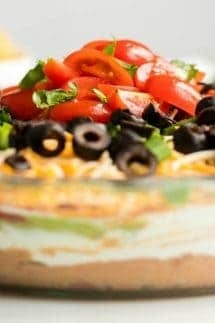 Refried beans seem to be the most controversial ingredient in the 7 layer dip. 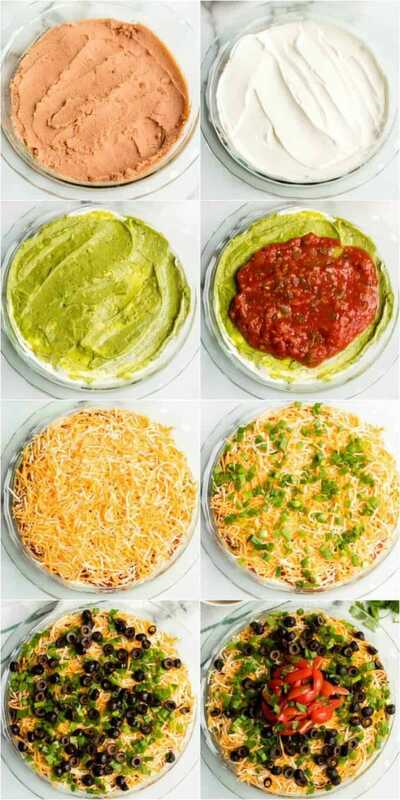 It is easy to make a version of the 7-layer dip with no beans! You can either just leave the beans out and make it a 6 layer dip, or you can replace that layer. Our 7-layer is the perfect appetizer for game day parties with friends! It is layered with beans, sour cream, guacamole, salsa, cheese, olives, and onions. Spread refried beans in an even layer on the bottom of your dish. Spread sour cream on top of the refried beans. Spread salsa on top of the guacamole. Top salsa with an even layer of shredded cheese. Sprinkle sliced green onions evenly over the cheese layer. Spread olives evenly over the green onion layer. Optionally, add tomato and cilantro to the top for a fresh garnish. Serve cold with tortilla chips or scoop style corn chips. *I made this in a deep dish pie plate but you can also make it in an 8x8, 9x13, trifle bowl or even a plain glass bowl.